A couple of months ago I wrote a well-intentioned blog post on Why Diversity Matters in AI, and I realized the title misrepresents the multitude of reasons why diversity is so important. So, I'd like to make my previous article the first in a series that attempts to explore diversity from various angles and viewpoints. In this post, I learned a lot from Angel Ciangi a diversity and inclusion strategist and market research expert, and Camille Eddy, a driverless car intern at NVIDIA, who is also a Stanford innovation fellow and keynote speaker on diversity and tech. 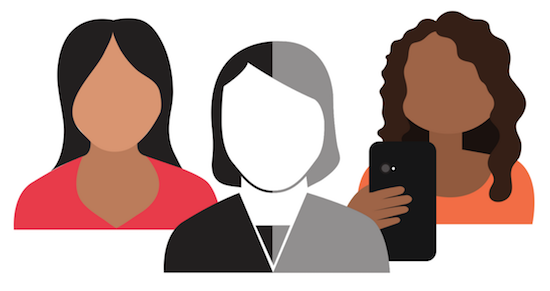 Companies are missing out if they are not considering the user experience of and marketing to women of color, often the most overlooked user group when it comes to testing and training for AI applications like facial recognition. According to Ciangi, 1/3 of the United States female population are women of color who are often the decision makers regarding purchases in their households. The combined Hispanic and African American buying power is about $2.8 trillion. Chiangi also points out that Hispanic women are outpacing white and black women in college attendance and graduation, and more African American women return to school later in life than white women. The American Express OPEN seventh report shows the State of Women-Owned Businesses Report reinforces that this is an extremely enterprising demographic, with businesses owned by women of color growing 467% in the last 10 years to have over two million employees and generate $361 billion in annual revenue. By 2020, whites will already be in the minority in the age group 18 and under. Our current student body is diverse, and those students become both our talent pool and the consumers of our future technology. Eddy points out that we need more realistic and attainable portrayals of STEM careers for women of color in popular culture and media, and when that leads to girls getting an interest in the field, the education system and mentors need to be available to support them pursuing that path. If they only get that message when they are already in college, it can be too late. In order to reach the younger generation and make sure enough of them are flowing into this field, we need to make a conscious effort to market the opportunity and make it more accessible through early education. Nikki Hallgrimsdottir is a co-founder and chief evangelist of Algomus, where she works with manufacturers, distributors, and retailers to leverage Artificial Intelligence and Data Analytics. Algomus has built Algo—an AI agent that assists business users with Data Analytics and other related tasks through Natural Language Processing, Machine Learning, and Business Process Automation. Prior to founding Algomus, Nikki worked for a decade with companies of all sizes to utilize automation technology in both manufacturing and product design. She knows enough to be dangerous in the areas of Big Data, Analytics, Artificial Intelligence, IoT Hardware, Machine Vision, Supply Chain, Industrial Automation, and Multiphysics Simulation, to name a few.